Lee Selby’s IBF featherweight title defence against Josh Warrington has been confirmed for May 19. 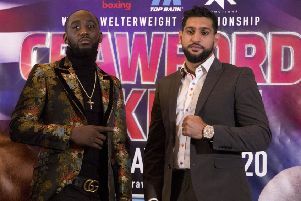 The long-term rivals will fight in Leeds and promoter Frank Warren hopes to next week confirm Elland Road as the venue - where the popular Warrington was born and has developed his fanbase. Wales’ Selby has already made four successful defences of his title and will remain the favourite against a challenger fighting for world honours for the first time. He hopes to defeat Warrington before facing the winner of April’s match-up between Carl Frampton and Nonito Donaire, and said: “He’s done everything that has been asked of him so far. “He’s picked up my vacated titles and beat a lot of my past opponents. To his credit, he’s earned his position as my mandatory challenger and deserves his shot.